Atlantic salmon spilled into Puget Sound last summer appear to be gone — but the spill is far from forgotten as conservationists file suit. 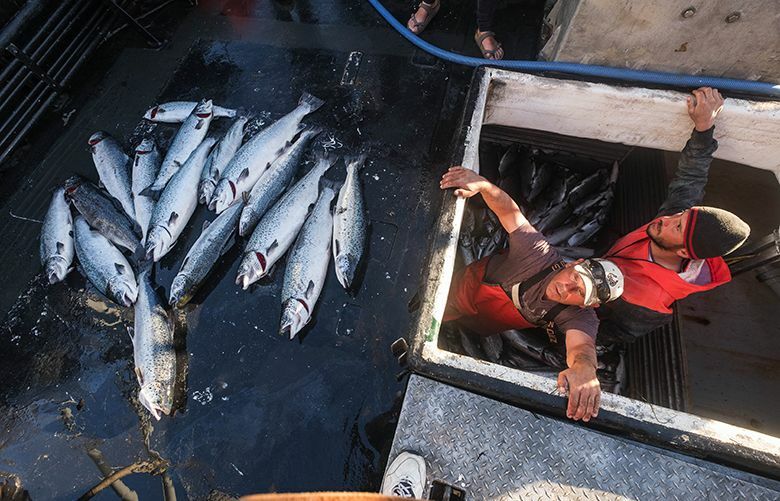 “Most people here presume they are dead and gone,” said Tony Meyer, spokesman for the Northwest Indian Fisheries Commission, representing the treaty tribes of western Washington. “They were not feeding or anything; they were not going to make it. Of course miracles always happen, but mostly we figure they all died. “It would seem, from a biological point of view, that the likelihood of many more fish surviving is diminishing by the day,” Botka said. “Without a consistent food source, their fat reserves can only last so long before they become food for crabs or other bottom feeders. 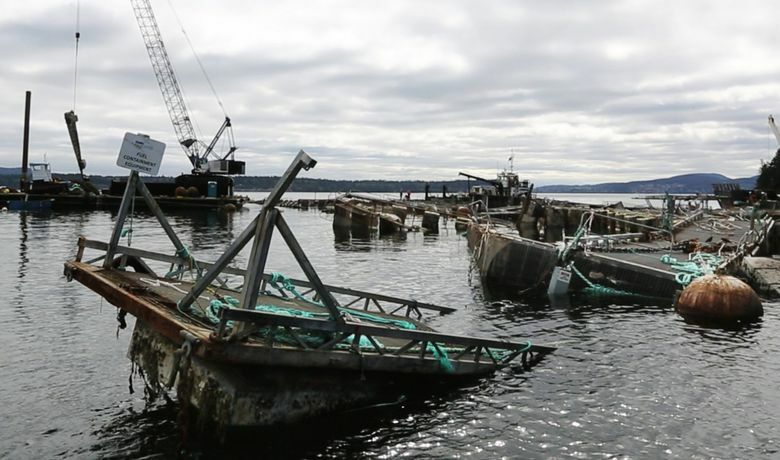 The net-pen collapse at the Cypress Island Farm, one of eight that Cooke operates around Puget Sound, “resulted in the discharge of farmed Atlantic salmon, dead fish carcasses, and massive amounts of debris among other pollutants,” the conservancy stated in news release about the suit. Yet as far as invaders go, Atlantics are remarkably unsuccessful: There has never been a documented established run of Atlantic salmon in Washington — even after the state Department of Fish and Wildlife’s earlier attempts to establish an Atlantic salmon fishery. And while escaped Atlantics haven’t established here so far, that doesn’t mean it can’t happen, or that there is no risk posed by Atlantics, wrote Peter Bisson, a research fish biologist in the Pacific Northwest Research Station in the Olympia Forestry Sciences Lab of the U.S. Forest Service.